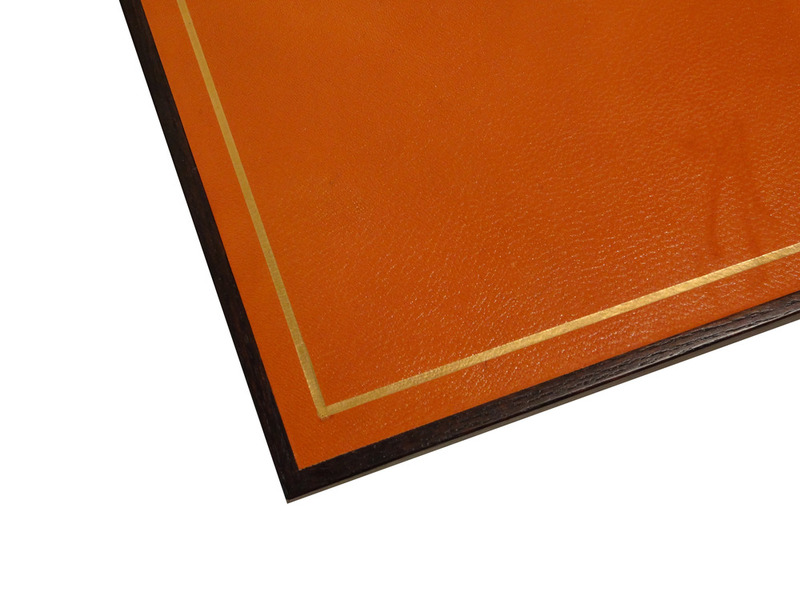 Gilded Orange Goatskin Leather on Dark Brown Oak Frame with satin finish. Sold as is. Condition- Good, very minor surface discoloration. Complete form below for additional photographs of items condition.